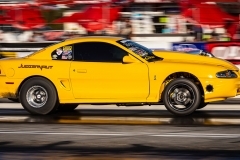 The 1996 SVT Cobra Mustang was a groundbreaking machine that ushered in the era of DOHC performance for Ford. 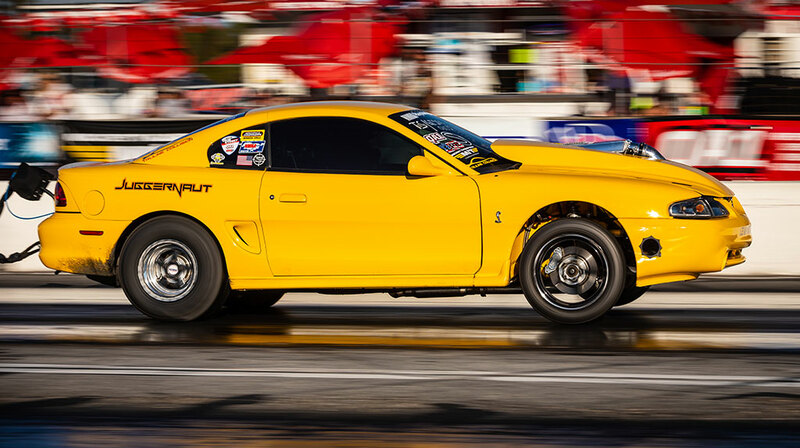 The 305-horsepower mod-motor Cobra provided a huge jump in performance over the 215-horsepower Mustang GT. It could rev cleanly to 7,000 rpm and sounded amazing, and a good pilot could row the gears into the mid-13s. 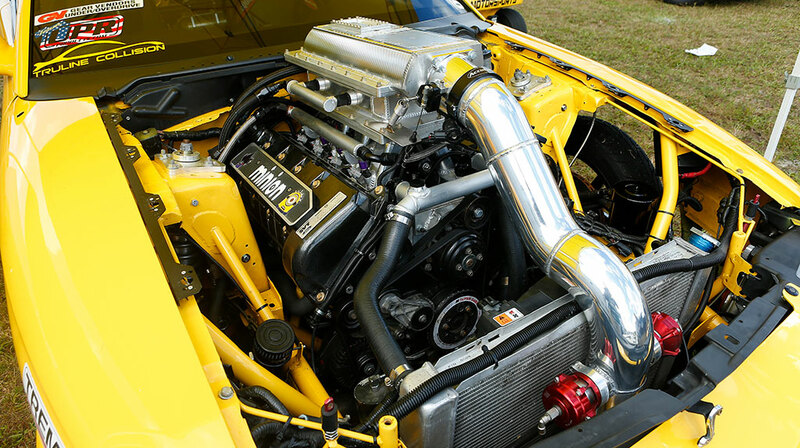 Under the hood sat the beautiful, all-aluminum 4.6L engine with high-flow induction that was ripe for boost. 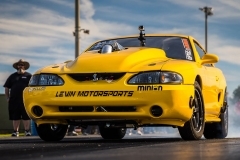 Enthusiasts figured out supercharging and/or turbocharging a Cobra would greatly enhance performance. The DOHC heads flowed nicely and ate up boost like no Mustang that came before it. 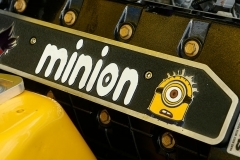 Perhaps the ultimate example is Yandro Ulloa’s street-driven “Minion” Cobra that produces more than 1,500 horsepower and has run 7s in the quarter-mile, all while Yandro rows the gears in his TREMEC gearbox. In fact, Ulloa’s Chrome Yellow Snake is an extremely quick rear-wheel-drive vehicle with an H-pattern manual transmission. Not just a one-hit wonder, Yandro has made dozens of passes in the 7s—his quickest was 7.67 at 184 mph. 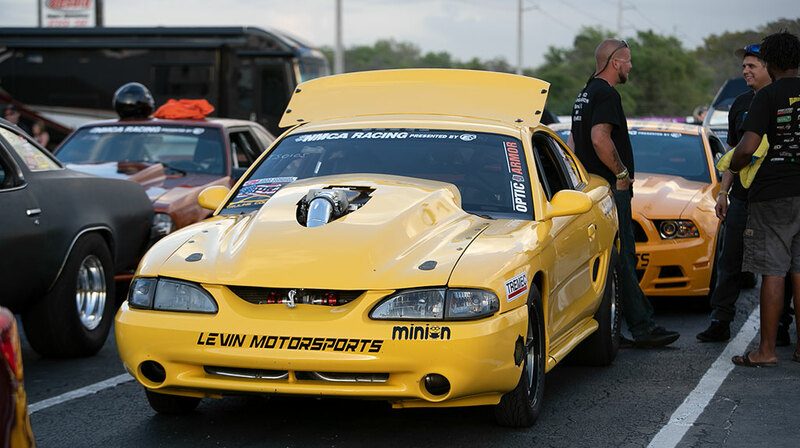 “I bought the Mustang in July of 2015 and have only been racing for a few years, but the love for drag racing has really accelerated the rate of learning,” said Yandro. 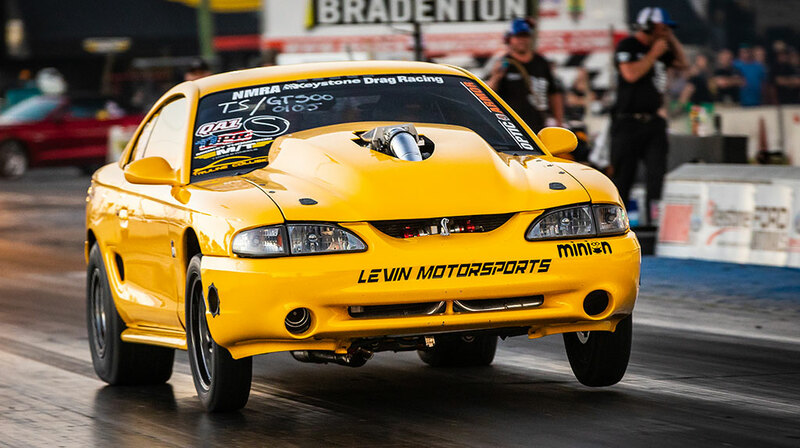 “Going from buying a car with 305 flywheel horsepower to what it is today takes getting used to, but we’ve managed to go from 305 horsepower at the crank to 500 rear-wheel horsepower, to 600 to 800 to 1,200 and now to 1,500 horsepower,” he added. 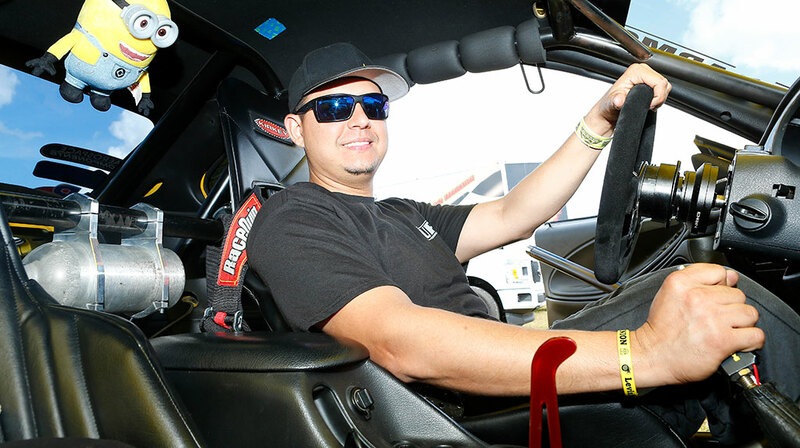 “I mainly race stick-shift classes, street classes and small-tire classes, but I’ve competed in NMRA Terminator vs. GT500 and even roll racing,” he told us. 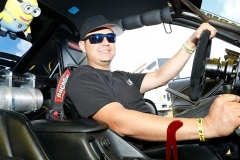 “We’ve won a few events, but spent a lot of time the last two years finishing in the runner-up position.” In the last year, he’s won the Mod Nationals Stick-Shift class, TRC Street Kings, NMRA Terminator vs. GT500, TREMEC Stick Shift Shootout and, most recently, True Street at NMCA in Bradenton, Florida. 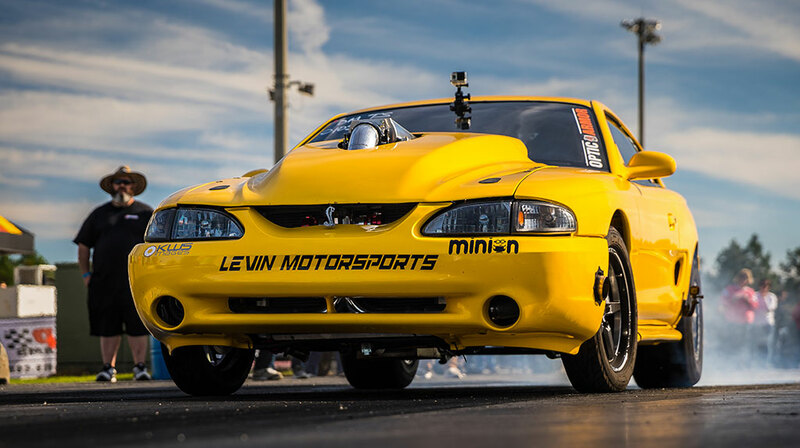 Yandro’s Minion Mustang is powered by a 1998 4.6L DOHC Cobra engine prepared by Levin Motorsports in St. Petersburg, Florida. The block is bored .020-inch over and it was fortified with a Kellogg crank, Manley rods and JE pistons. 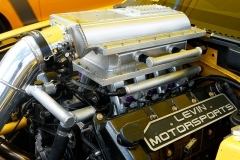 The bottom end also uses a Triangle Speed Shop oil pump and a tricked-out Moroso oil pan. The heads are Ford factory “C” casts massaged by MPR Racing Engines and with Comp cams actuating the 32 valves. The intake is fed a steady diet of 42 psi of boost pressure and a pair of Precision Turbo 68s with ON3 headers moving the spent gasses. 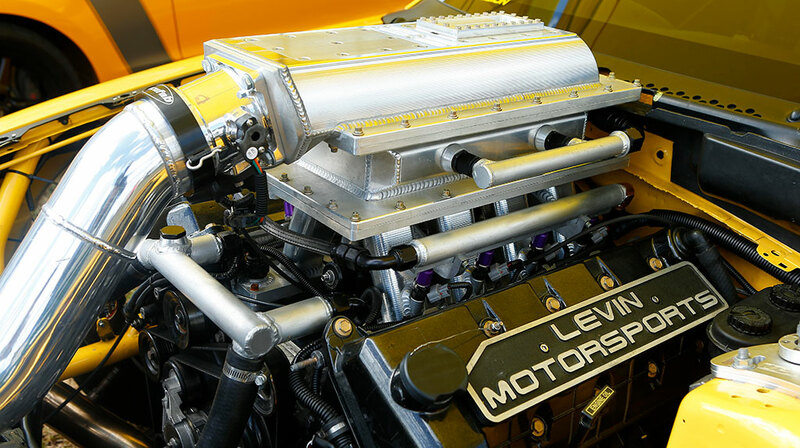 Power is sent through a TREMEC Magnum transmission modified by RPM Transmissions. 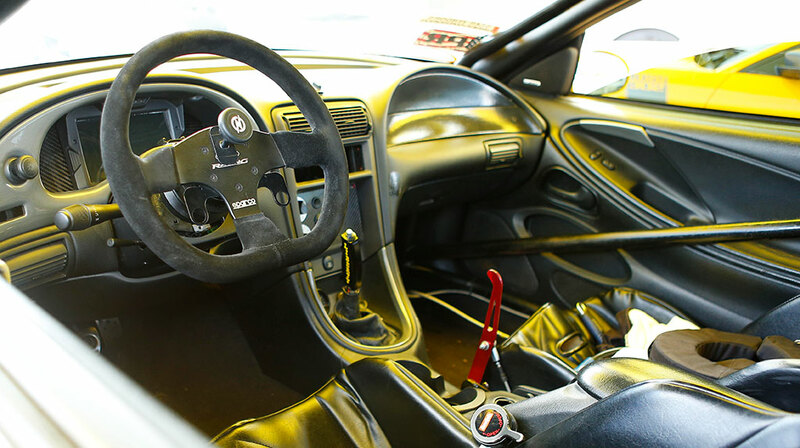 The clutch is a top-secret unit that allows for street driving yet has mad grip to get the power from the flywheel to the transmission with controlled slipping and locking. Amazingly, the rear is still a Ford 8.8-inch with Strange internals. The stock-type suspension hooks hard, at times lifting the nose straight up in the air. Traction comes by way of Viking dampers and UPR Products suspension parts. If all goes well, Yandro will have blasted into the 7s at more than 180 mph in a Mustang that he can drive to the store for ice cream. And although he has enjoyed great success, it’s not come without hard work and help from family and friends. “UPR Products has believed in us from early on and as time goes on, they help us more and more. 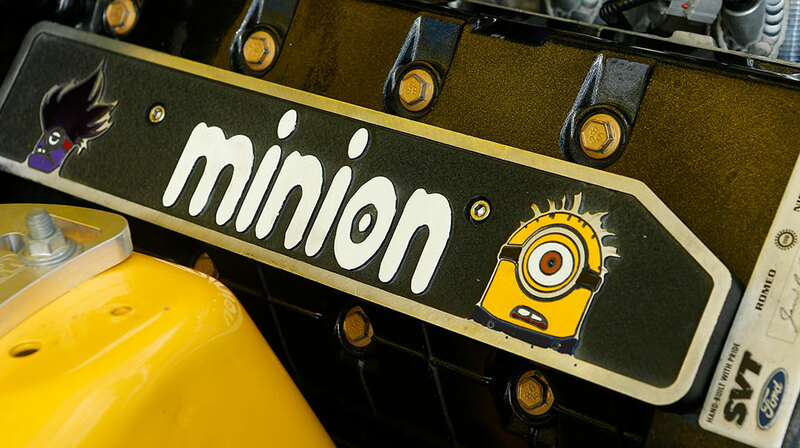 Truline Collision sprayed the fresh Chrome Yellow on the Minion, and Optic Armor provided the windows.” Yandro also wanted to thank Josua Levin at Levin Motorsports, Hard Target Images, Juggernaut Power, Certified Transmission and, of course, his family and friends.